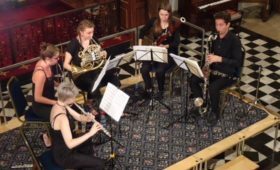 The Gaudier Ensemble is a chamber group that performs music for winds, strings, and piano, typically from the eighteenth, nineteenth, and early twentieth centuries. While the works it plays are generally by well-known composers like Mozart, Beethoven, and Dvořák, the musicians often delve into the less familiar e.g. Spohr, Berwald, and Françaix. The London-based Gaudier Ensemble consists of 11 players of mixed nationalities: two on violin (Lesley Hatfield, Marieke Blankestijn), one each on viola (Iris Juda), cello (Christoph Marks), double bass (Stephen Williams), oboe (Douglas Boyd), flute (Jaime Martin), clarinet (Richard Hosford), horn (Jonathan Williams), bassoon (Robin O’Neill), and piano (Susan Tomes). Members also hold other posts with various orchestras or at universities and often appear as soloists or conductors in various European or British locales. The group was formed in 1989 in London. 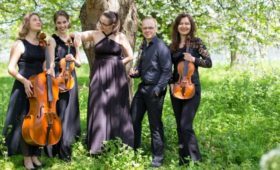 That year the Gaudier Ensemble gave its concert debut in June at London’s Wigmore Hall, drawing enthusiastic praise from critics and audience alike. Its first recording appeared in 1990 on the ASV label, the Schubert Octet in F major. Subsequent recordings by the Gaudier players have been issued on the Hyperion label. In 1991 the group started its own yearly music festival in England, at Cerne Abbas, Dorset. Six years later it established a second festival, this one at Leersum, Holland. 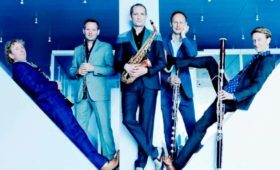 By this time the Gaudier Ensemble had become well known throughout the U.K. and much of Europe, propelled by successful concert tours and by a string of acclaimed recordings on Hyperion, including the 1993 release of Beethoven’s Sextet and Septet, the 1994 Octet and Nonet by Spohr, and the 1995 Dvořák Piano Quintet and String Quintet. In the new century the Gaudier Ensemble continued making regular appearances throughout the U.K. – at Wigmore Hall, St. John’s Smith Square, and at the Edinburgh and Cheltenham International Festivals. They have frequently concertized throughout Europe, too, especially in Holland (Concertgebouw in Amsterdam; Heuvelrug Festival) and Germany (Schleswig Holstein Festival). The group’s 2003 recording of Mozart’s Piano Concertos No. 11, No. 12, and No. 13, with Susan Tomes as piano soloist, drew critical acclaim from English review journals (The Guardian and The Daily Telegraph) and from across the ocean (The American Record Guide). 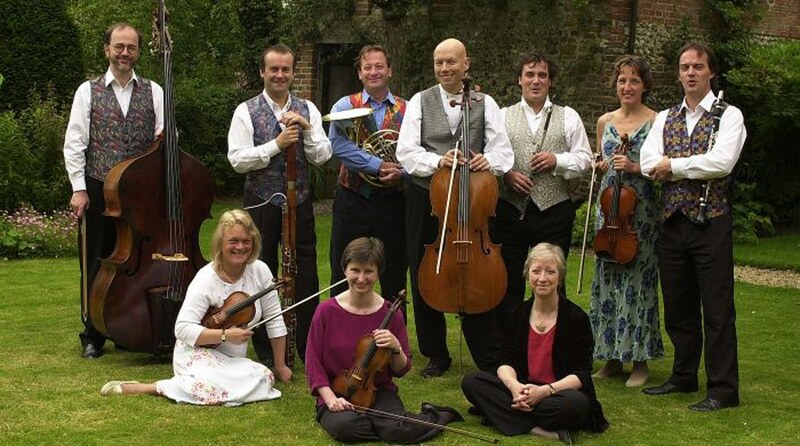 The Gaudier Ensemble toured Holland in March and April 2006 with great success, and later drew acclaim for performances at the Cerne Abbas Music Festival, held on 27-30 July.